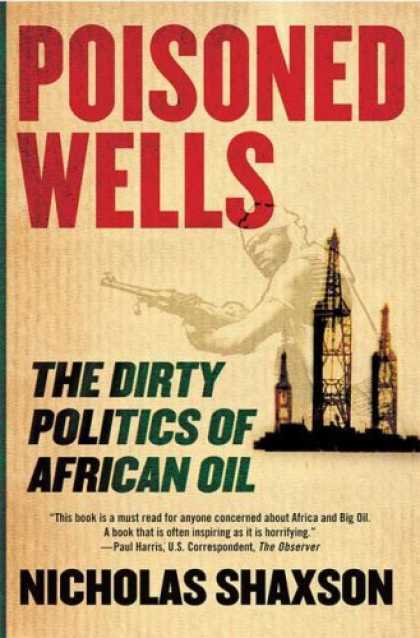 That’s the title of Nicolas Shaxson’s book on the dirty politics of oil in Africa. I bought the full volume after reading his entertaining and insightful Omar Bongo chapter in an African newspaper this spring. Part memoir, investigative report, and political exposÃƒ©, Shaxson’s book adds to the list of favorite scholarly journalism like The Wonga Coup and Tropical Gangters. Most of the time Shaxson peeks into the darkened closets of oil politics. African rulers, US corporations, and (especially) French government all have their skeletons dragged out and arranged in amazing row upon amazing row. It’s hard to build a career as an independent writer covering Africa. Oil-rich countries are, because of their oil, expensive to work in, and companies seeking sensitive, hard-to-get information offer fes far above what a journalist might earn. Several journalists I know from Africa’s oil zones have moved into commercial intelligence. 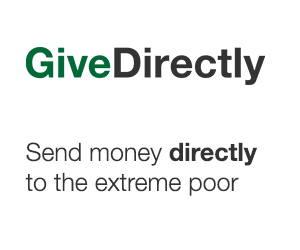 Another difficulty is disenchantment. In the West, the fourth estate helps keep rulers in order. 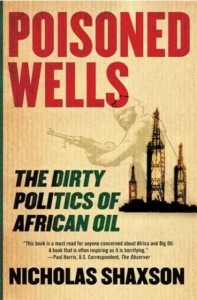 But in suc-Saharan Africa’s oil nations, rulers often just ignore the media. All this can be dispiriting. Here is an inteview with Shaxson in Harper’s.